was sunk by enemy torpedo in the Atlantic Ocean. were lost whilst serving on this merchant ship during WWII. They gave their lives so that we can live in freedom. The Blue Star Line commenced operations in 1911 with three ships. Owned by the Vestey family, better known for their chain of Dewhurst Butcher’s Shops, the fleet consisted entirely of refrigerated cargo ships. In 1926 the company turned its attentions to the passenger side of the business. At the outbreak of World War II the Blue Star Line had 41 ships scattered around the world and during the following six years, twenty nine ships were lost to enemy action. 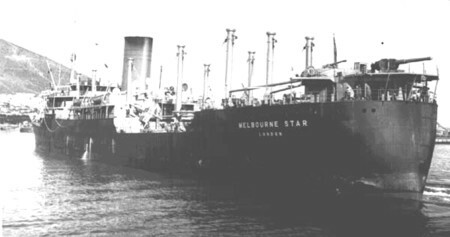 The Melbourne Star (Gross 11,076 tons) was launched in 1936 by Cammell Laird & Co of Birkenhead for the Blue Star Line and was designed to carry passengers and refrigerated cargo. During the World War II she distinguished herself on many occasion before being torpedoed and sunk in the Atlantic on Friday 2nd April 1943. 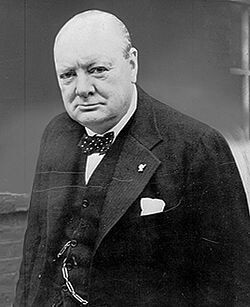 'But for the Merchant Navy who bring us the food and munitions of war, Britain would be in a perilous state and indeed, without them, the Army, Navy and Air Force could not operate'. Tribute has been paid to the personnel of H.M. Ships but both officers and men will desire to give first place to the conduct, courage and determination of the Masters, officers and men of the merchant ships. The steadfast manner in which these ships pressed on their way to Malta through all attacks, answering every manoeuvring order like a well trained fleet unit, was a most inspiring sight. Many of these fine men and their ships were lost but the memory of their conduct will remain an inspiration to all who were privileged to sail with them. On Monday 28th August 1939, the Admiralty broadcast a message to all British merchant ships ordering them to comply with any sailing or routeing instructions that might be issued by the Naval Authorities. Navigation lights must be dimmed and no other lights must be shown at sea. Returning to Liverpool from Auckland New Zealand on the 12th December 1939 the Melbourne Star is armed and made ready for war. This rare photograph taken in Cape Town of the Melbourne Star showing her guns mounted on the poop deck. I have been researching the sinking of the Melbourne Star after learning that my uncle Leonard White, who died in 1995, was one of the four surviving crew members when the Melbourne Star was torpedoed and sunk in the Atlantic 480 miles south east of Bermuda. I would like to take this opportunity to thank those who have donated and to those I have borrowed information and pictures from, without this material I would have been unable to create this website. Thank you. Thank you for visiting the Melbourne Star website. You are welcome to contact me at the address below with any comments.